Congratulations to sister company Chorus Call for being awarded the Pittsburgh Business Ethics Award in the large company category. The awards are designed to honor U.S. companies that demonstrate a firm commitment to ethical practices in their day-to-day operations, philosophies, and response to crises and challenges. The Pittsburgh Chapter of the Society of Financial Service Professionals has presented the awards since 2001. 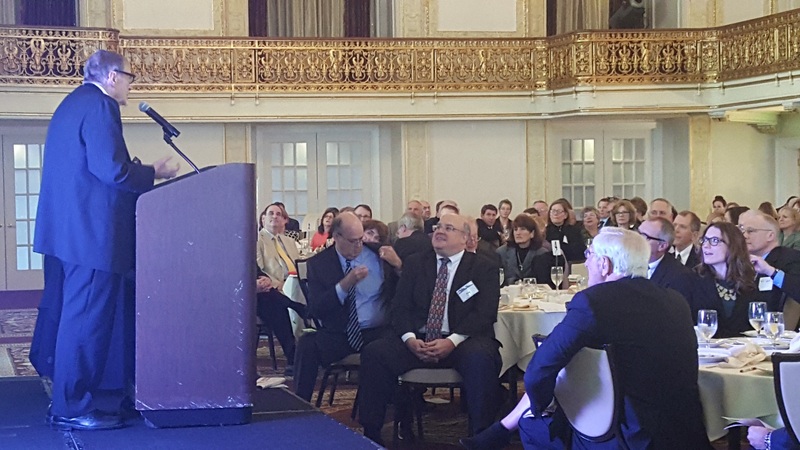 The awards ceremony and luncheon was held at the Omni William Penn Hotel on Wednesday, February 24 and Dr. Giorgio Coraluppi, President and CEO of Chorus Call, was in attendance to accept the prestigious award. For more information about the PEBAs, click here. To read the Pittsburgh Tribune-Review article about the event, click here.